The Trust was established to care for Cancer Patients and Families. The idea of establishing the Trust was considered and initiated by the Founder / Chairman, who himself went through the episode of Cancer diagnosis, treatment and emerged as ‘Survivor’. The Trust was registered with Registrar Islamabad under Trust Act 1882 vide Registration Number 490 dated 20th February 2015. It has a group of doctors/ consultants, who render valuable advice, guidance and support, where needed. We also have volunteers and survivors who are contributing in Trust activities. Survivors are invited in our awareness programs to share their story to motivate other cancer sufferers to face the ordeal with courage and fight to defeat it. Mr. Amin-ul-Haq served in Pakistan Army and was awarded Sitara-e-Imtiaz (M) for his meritorious services. Having been diagnosed with Hodgkin’s Lymphoma, Stage-IV underwent treatment for about a year that included surgery, chemotherapy and radiations. He emerged as ‘Survivor’ by the grace of Allah Almighty and decided to set up a platform helping Cancer patients, their families. It was named ‘HAYAT-E-NAU’ (Urdu phrase meaning – New Life). He is a retired Government Servant, currently into private business related to security advisory / consultancy and trading in Islamabad. A well reputed and respected personality among his peers and takes keen interest in social and welfare services. He is lawyer by profession, having studied law from UK. 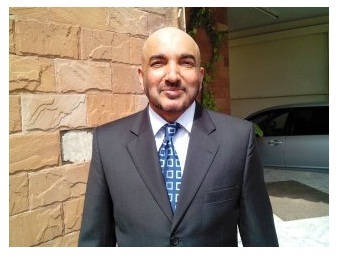 He is practicing law at Islamabad since last about twenty years. He has been devoting his time for many social services. He is into a corporate circle for the last about 20 years, having served overseas and Pakistan. He is looking after various social uplift projects in his native area. Currently, he is working in a multinational and settled in Islamabad. He is retired Lieutenant Colonel from Pakistan Army. A thorough gentleman, respected by all around him and currently settled in Islamabad. He has keen interest in social welfare projects and volunteered to be part of BoD and Treasurer of the trust. Dr. Col Saleem Siddiqui, Shifa Int.